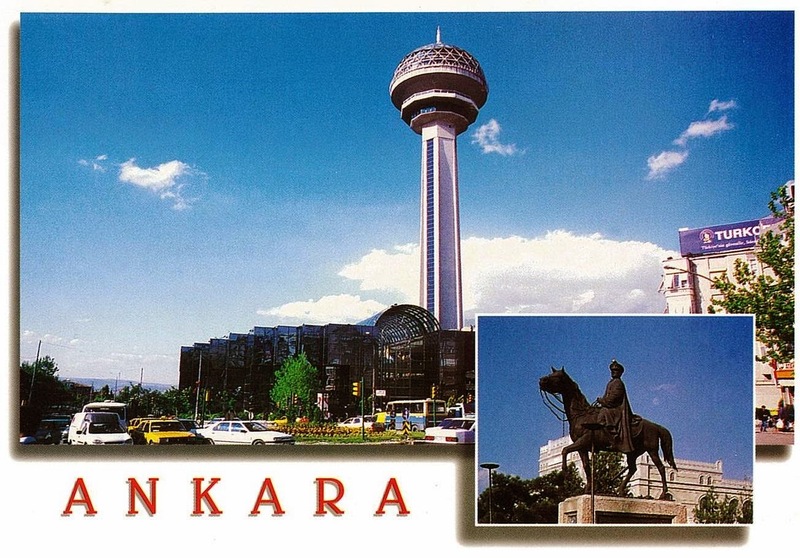 Atakule Tower is one of the primary landmarks in Ankara. 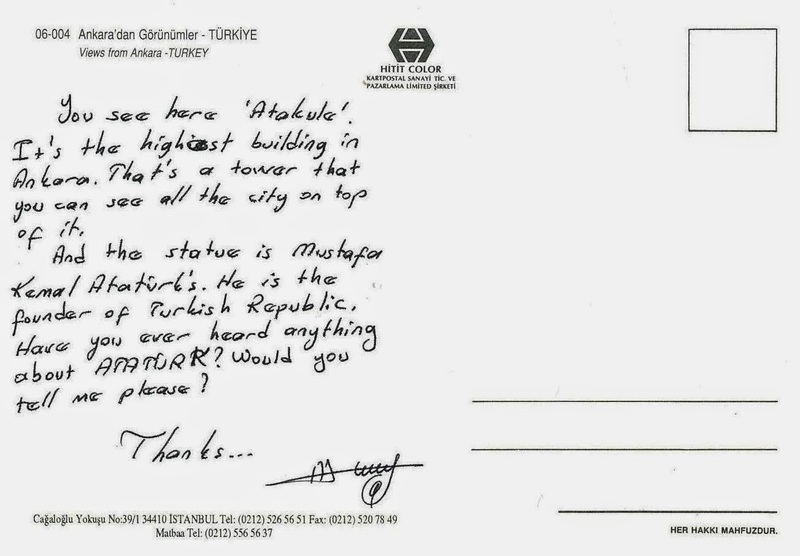 While the statue of Mustafa Kemal Atatürk is the founder of the Republic of Turkey. This post card was sent to me on the year of 1999 together with the Turkish carpet bookmark.